Well not two days went by since we picked up the CDI, and it already has presented us with it's first problem. I'll preface this by saying it was relatively hot yesterday for western WA (around 90). Tried to start the car in the middle of the day and it wouldn't turn over. The display flashed between ESP and ABS malfunction, visit workshop. I heard that a low battery could cause problems like this, so I tried to jump it with my 300D. Same messages, same result. I tried starting it again around 9:30PM when the temperature had dropped into the low 70's and it started right up with no malfunction messages. To make sure it wasn't just a fluke, I shut it down and restarted it. Drove it around town for 15 minutes with no problems and without shutting down and came back home. Shut it down in the parking spot and just for S&G's I tried starting it there just after I had shut it down and it went right back to the ESP and ABS malfunction messages and no turn-over. Any ideas? Kind of sounds like it's related to temperature. I really haven't found much on this particular issue. It's still got the MB factory warranty for a little while longer so after the holiday weekend it'll go to the stealer for them to figure it out. It does sound like some sensor is sensitive to the heat.....the fact that it refuses to start makes me wonder if I ever want to own one of those cars. You can monitor batt voltage on the CCU by holding REST for 5 secs and then using the AUTO bottons to toggle to screen #23. CPS and brake switch faults are failry common on W211's too. I'd confirm voltage first since it won't crank. When one of these newer cars has a battery removed or gone dead (same thing) there are indeed things to be "reset" afterwards. Your light and messages are indicators. Look under "reconnecting the battery" in your owner's manual. Is that procedure for the 210? The 211 (at least E320's and E350's) don't have a display on the CCU. Does this work or is there another way of checking it on the multifunction display on the instrument cluster or command display? Tried again this morning when it was 65 out and it started. Drove around for another 15 minutes and it started again, but the engine compartment wasn't too hot. I'll try again this afternoon when it gets to the 80's. Well it's finally back and fully functional. The dealer threw a few more parts at it under warranty. First they thought it was an ignition switch problem, so they had to order one from Germany which took a good five days...good thing they gave us a loaner rental. They tried to hook up the computer to program the new switch and couldn't get it to program correctly. The computer was spitting out random low voltage codes and communication errors, so they put in a new battery control module and some other computer module and updated the software in the rest of the car. That seemed to have fixed it, no problems since. powoSD, looks like it normally doesn't keep you from starting it if the ABS or ESP is not functioning...it seems that the no crank symptom was a side effect of the bad computer module. This car is essentially a rolling computer though ...but the added comfort, convenience and power seems to be well worth it. Floor it and woo-hoo you're at 40 already! Hi there, I realize this is an old post. However, what was the "some other module" that was changed ? Am facing the exact same problem now. Running out of ideas. Can't trial and error. No warranty. Possibly the SBC unit. 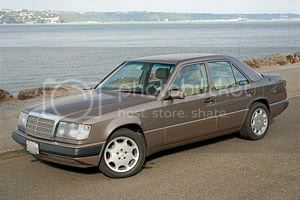 It has known problems and Mercedes has extended the warranty on that part to 10 years. Never let a dealer try to get you to pay for that one. The shatter on many other sites is that all three of these warning lights can be brought up by a defective brake light switch. Some owners have replaced theirs multiple times. I've had the same lights on my '05 CDI for a few weeks now. I also noticed that the steering is a little stiffer. I looked at my brake light switch yesterday. It is a little different than the one I replaced in the ML; this one only has one switch in it whereas the ML has two. The switch in this one is normally closed and opens when you depress the brake pedal. The switch is attached in front of the brake pedal arm and is removed by pressing the locking tab and rotating 1/4 turn clockwise. (I hope I have that correct). I tested my switch and found it working properly, but when I installed it, I found that the contact don't open when the brake is not pressed; the arm does not press the plunger in far enough. I began scratching my head and wondered how this affected the brake lights. I went behind the car and found that with the key on, the brake lights were on when the padal not pressed. We may have been driving for weeks with the brake lights on all the time. I then taped a few pennies to the brake pedal arm so that the switch is depresssed far enough when the brake is not applied. No more brake lights; workaround successful. This however did not remove the ESP, ABS, and BRAKE warnings. Maybe I have to clear the fault codes first. The switch can be had online for about $7 or from the stealer for $25 - $35. UI hear that the replacement switch has an adjustable plunger setting. I have some of the same symptoms where the lights are concerned but no starting problems. The non start problem I had over a year ago and was the crank sensor that caused the problem. I'm curious did changing the brake light switch soften the steering? I'm also having trouble with the shift lever lock out. .....a good informational/troubleshooting read for others with the 05/06 CDIs.